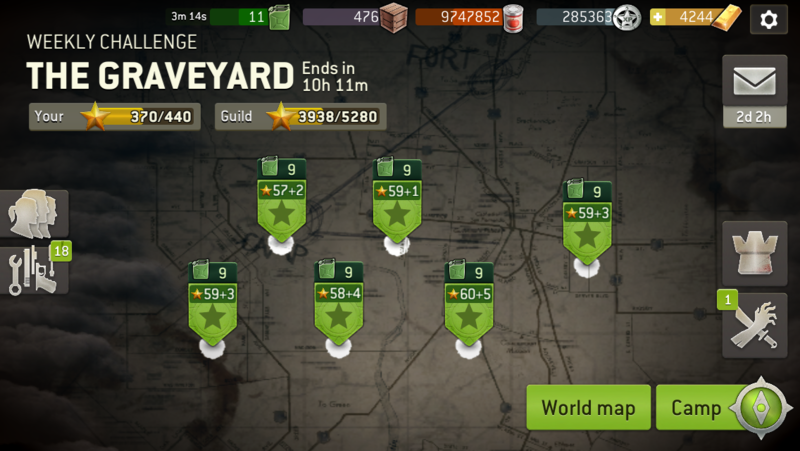 I few weeks ago, @DLich calculated how many stars you can theoretically get without using gold for gas or the booster. Now with the spending freeze, we have a chance to see how it is in practice. This week, I have optimized my gas consumption to make up for not spending. This has included playing missions when I wake up at night to pee (some advantages of getting older). So I have been emptying two tanks at the same time, so to speak. This is where I am now. 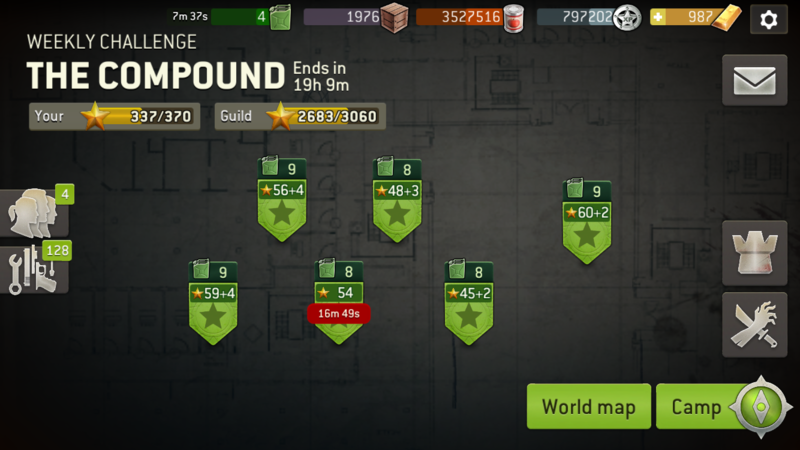 I think my team could manage 20 more stars but I'm not sure there's time before the challenge ends. 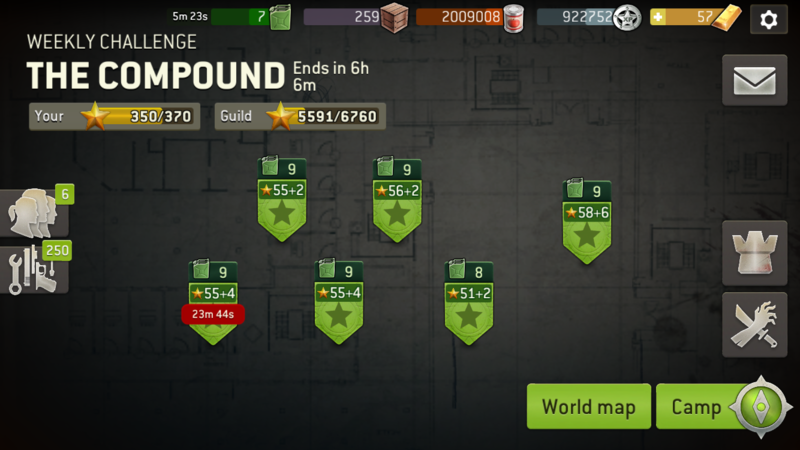 But nice to see you can actually get almost 350 stars without spending any gold or buying the booster. What have other newfound non-spenders experienced this week? I get 260 just because I don't want to spend the entire week playing only challenges. My calculations weren't including any gas from crates and gas earned while sleeping etc. I've never done the middle of the night thing, but I've managed 310 without a booster, but it was the ONLY thing I played during the challenge. @LadyAquila was that without gold as well? I think so, @MizTy, but I can't be 100% sure. I definitely played wire to wire though. Getting my last rounds in early Saturday morning. Nice! Thanks for sharing. I have to disagree with this statement though. I think it's kind of absurd that you can ONLY get to the 300s if you wake up to play in the middle of the night and don't play any other types of missions during the week without spending gold/real money. 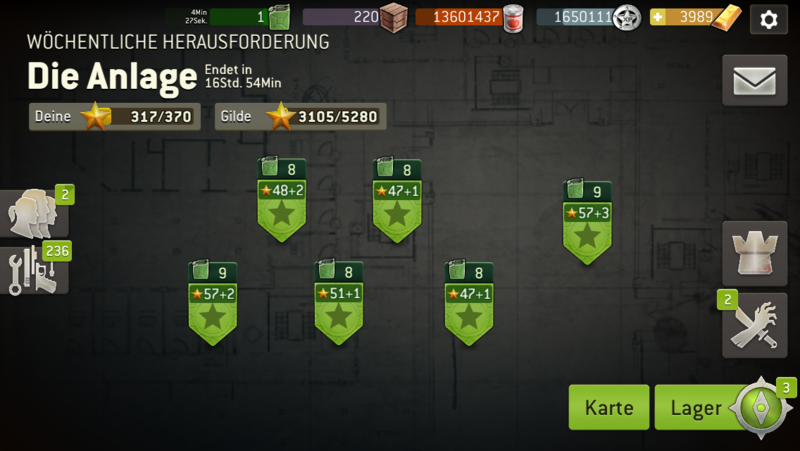 As I've said before, I think there are two very easy to implement solutions: (1) lower all gas requirements by one for challenges (i.e., challenges start at 2 gas instead of 3, and work their way up from there) OR (2) cap gas requirements at 6 (gas requirements are capped at 6 for regular missions, why not challenges?). Hopefully @Teeceezy and @Shadowkeeper see this and take this into consideration, along with the abundant other feedback that they're getting. I know that this isn't a priority compared to the token economy, but it's a very easy fix and would go a long way to showing NG's goodwill towards players. @TheLostOnes Nice job on stars! No booster, no gold for gas refill and no night shifts ;-) Stopped as we reached the 3060 stars. 350-370 is hard, but achievable. I regularly get 270-290 without pressing the issue. my highest is 320 without boosters, but includes extra gas found. i rarely sleep so i execute as much as possible when i can. I call foul. If you are peeing while playing there is gold involved. Had gas left for one last shot a 'Delivery Man' and even had the 'Kill no walker' quest, so if I was lucky with the order of the crates I could have gotten as many as four stars for a total of 371. But I wasn't. So it got nasty. Still one star though, and overall a fun experiment. 322 is my record without boosters. 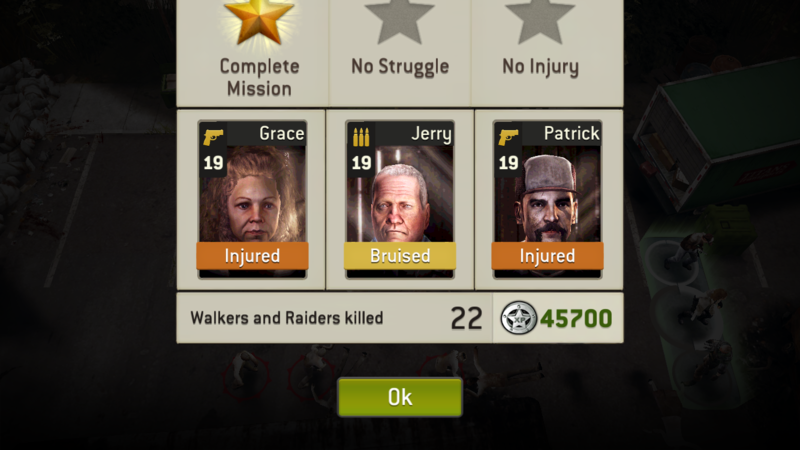 If my survivors were further upgraded I would have been able to get more but I was getting continually annihilated so I tapped out. I've always been ftp, occasionally use gold I got in quests for gas and hit my personal best 313 stars on my player level 52 account this week. @TheLostOnes & @Annette578 The question wasn't a joke. I turned lvl55 this week had relaxing 350 Stars. It was really refreshing this week without buying gold for gas etc..
Less stressful. With Gold buying and dodging fun some more would have been possible. But who cares ? Lmao @LostOnes getting up to pee and playing!!! No booster, no gold use for gas refill or quicker survivor healing, no advertisement views for crates or cinema attendence. 370 is achievable.